Selfridges has a range of exquisite timepieces from the most coveted brands. The best and most popular men's watches from pilots, diving, digital and dress watches from top brands for you to choose from to either add to your watch collection or maybe add a new look to your accessories. 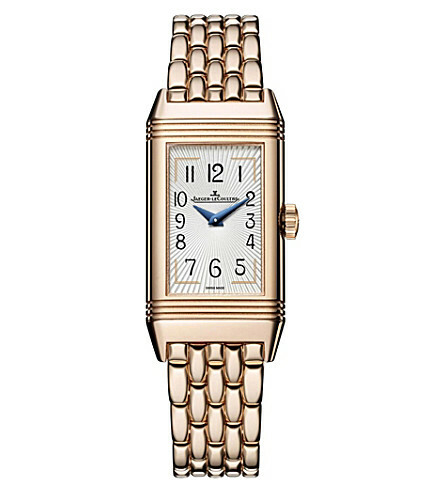 Operating with equisite Swiss function, the Master Grand Tradition watch from Jaeger-LeCoultre makes for a reliable and truly stunning addition to your jewellery collection. Crafted from 18-carat rose-gold and set with diamonds at the bezel, this luxurious timepiece boasts a dial that will ensure you're never late for a date. 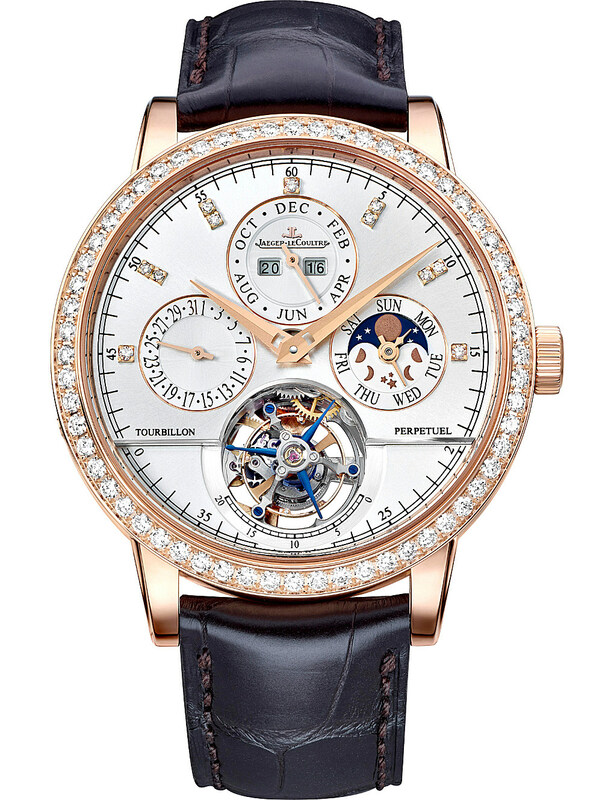 Featuring a permanent calendar of day, month, year and moon phase - it's built to endure. Crafting watches since 1755, Swiss brand Breguet constantly amazes with its innovative techniques and detail-driven eye. 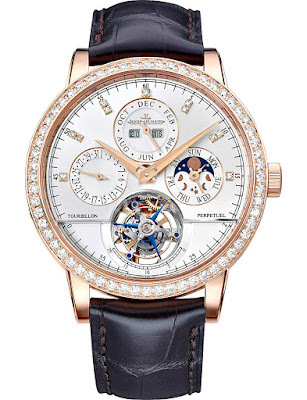 Known as a label for firsts, the Classique Complication 5317 timepiece shows off the ingenious tourbillion mechanic: a way to counteract the effects of gravity to ensure accurate time-telling. The impressive five-day power reserve and seconds indicator add to the luxury and practicality of this 18-carat rose-gold style. 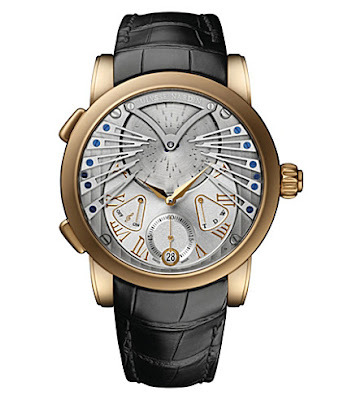 Founded 171 years ago, Ulysse Nardin made the decision to master every aspect of the craft in-house. In-line with this sensibility, just 99 of the brand's Stranger watch have been made, making it an exclusive addition to your collection. 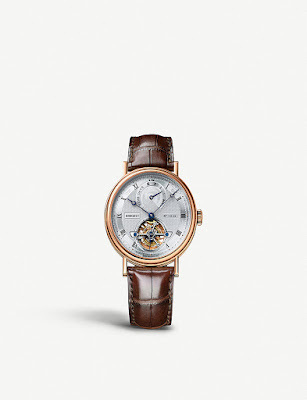 Featuring a croc-effect leather strap and 18ct rose-gold face, the beautifully-crafted piece plays the first 16 seconds of 'Strangers in the Night' in a music box fashion. You'll never want to take off. 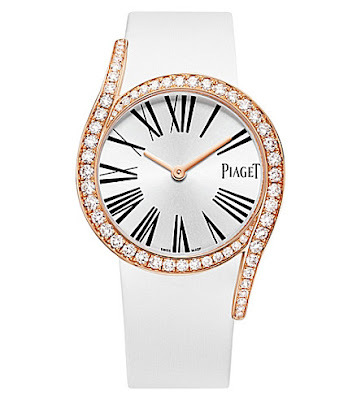 Piaget tempers the strict linearity of time with the feminine curves of this Limelight Gala watch. The round case has been crafted from 18-carat pink-gold and is enhanced by two voluptuous curves that elongate against its satin strap with 62 progressively-cut diamonds. Nothing is more luxurious than fine detail and secrets only you know. Jaeger LeCoultre's Reverso watch is famed for its hidden face; flip the face of this 18ct rose gold-plated design and you'll uncover a secondary diamond-studded bezel dial complete with a moonphase window, allowing you to track the moon's movement visually across the month. Aside from the elegant rectangular shape and bracelet strap, intricate details including Art Deco numerals and a speckled second face make this a true one-of-a-kind. Parisian purveyors of luxury lifestyle, Cartier has been renowned for its wares since being founded in 1847. 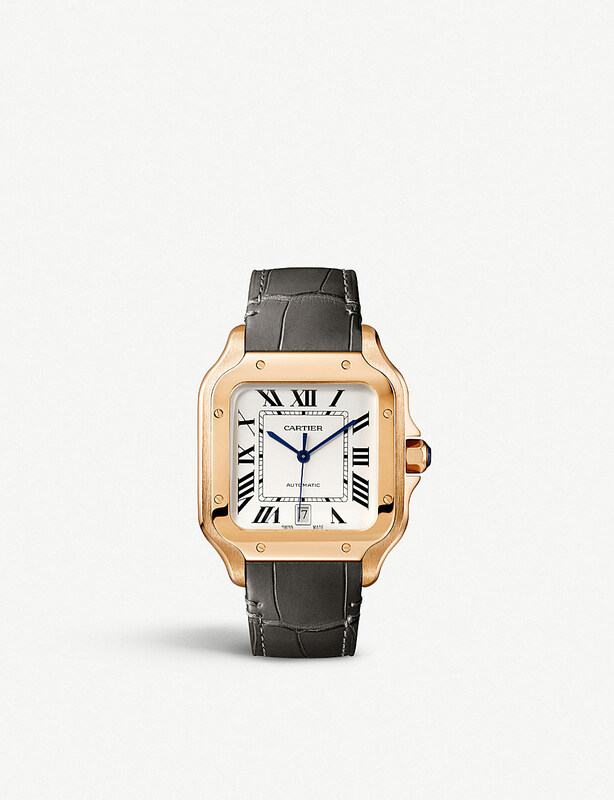 With a case made from stainless steel and an 18-Carat gold bezel, the Santos De Cartier watch exudes quality. Blue steel hands are accentuated by the silvered opaline dial while the watch comes with a choice of pink gold bracelet or leather strap, easily swapped via the QuickSwitch system, to customise to your outfit.